Every year in Northern Michigan we see a wonderful display of organized farming. The sweet and tart cherry trees begin to blossom and put on an epic display of large perfect flower clusters. The perfume put off by this event is intoxicating, one stroll through the orchard makes this very apparent. It is no wonder that countless bees are here busy collecting and spreading pollen. The sound of bees can also be heard as soon as one enters a blossoming orchard. At first the noise is quite unsettling, but after taking in the sights, and smells, the sound becomes a perfect melody to enjoy everything as a whole. 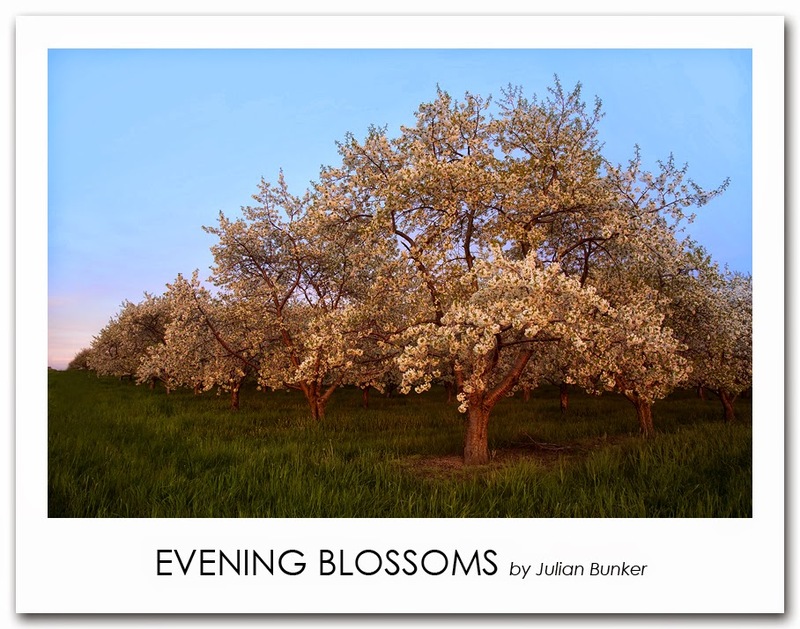 Evening Blossom - Canon 6D, Canon 24-105L (@24mm), ISo 200, F/11, 1/6th of a second. 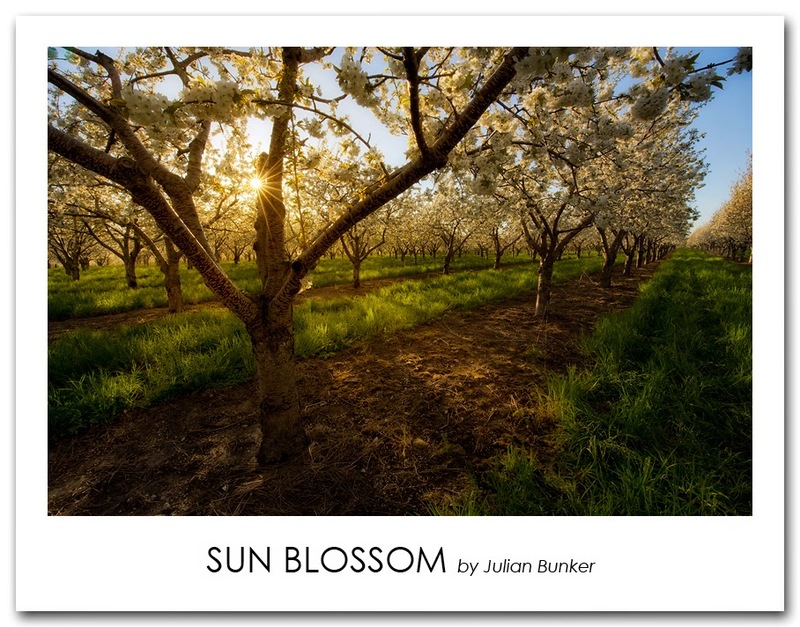 Sun Blossom - Canon 6D, Nikon 14-24 (@16mm), ISO 100, F/22, 1/8th of a second.